How much do we truly know about a person simply from looking at them? 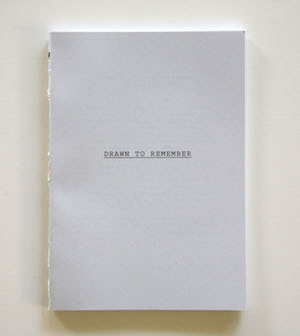 Drawn to Remember explores how the image we carry of a person varies depending on our relationship with that person. I worked with Joe Aragon, a sketch artist for the Honolulu Police Department, to create composite drawings of a number of subjects, each described by six different people. Each person knew the subject from a different part of life, such as family, colleagues, friends, and acquaintances. Police composite drawings are a tool of identification, elimination and corroboration to reconstruct memory. This project highlights the contrast between photographs as a literal representation of reality and a subjective drawing that leaves room for interpretation. I was interested in the way these images represent how we remember other people based on our own histories and experiences, our connection to each person and how we communicate those memories. This project created a record of the personal realities and stories we tell by documenting and examining the way different people describe the same person.